I thought that weaving in all the ends would be tedious but it was not, thanks to my current Netflix obsession. I have been watching Arrested Development from the start and I am really liking it. It is quirky so it might not be for everyone, but it has grown on me. I immediately jumped into another baby blanket using the same yarn, Lion Brand Jiffy. 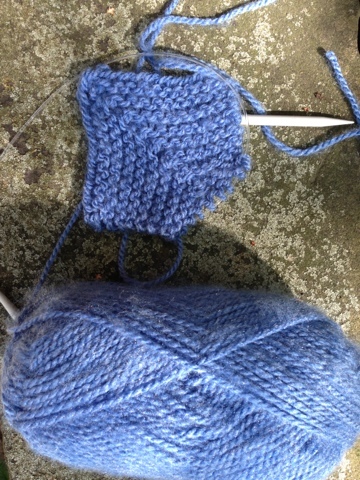 I need some variety so I am going to do muttered squares - even though that will leave me with a lot of ends to weave. Thank goodness for Netflix! Let me start by saying that I have already missed the deadline. The little boy who will be receiving the blanket has already made his entrance. Still, I'm close to the end. I've just begun picking up stitches for the border. 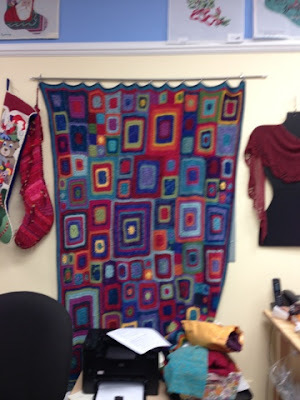 Yes, it is a little crooked; apparently I picked up too many stitches on one square. Oh well. I think a little boy will not mind at all. The mom is a coworker who I just adore. I'm even forgiving her for taking time off work! 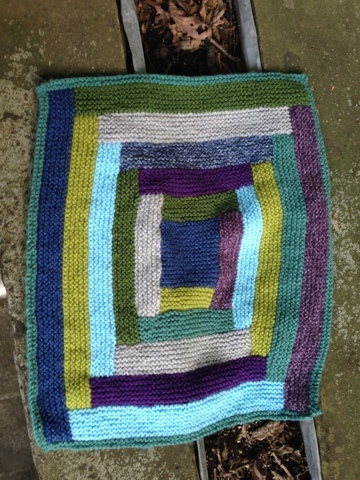 It's a Log Cabin-style blanket that I just made up as I went. The yarn is Lion Brand Jiffy. I like it for baby blankets because it wears like steel, can be washed and dried by machine, and makes a nice puffy surface to lay a baby on. I can't wait to finish it so I can go over my friend's house and meet Cole! 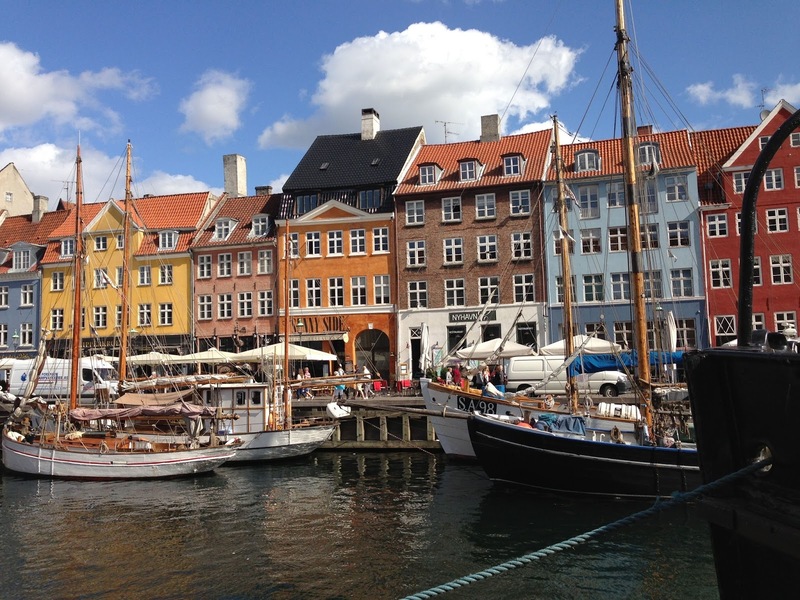 This is the quintessential Copenhagen scene. Nyhavn is the old harbor and still one of the most beautiful places I've been. 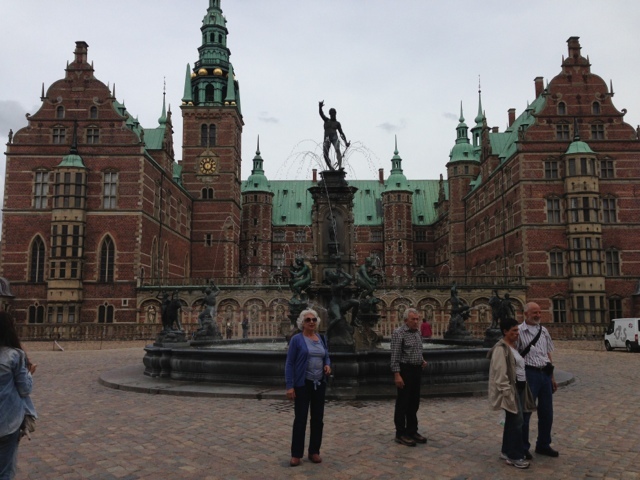 As hard as it was to leave Denmark, it was even harder to leave my daughter back at her home in Washington, DC -- as well as my brother and his family. In my perfect world, all the people I love would live in the same city as I do! 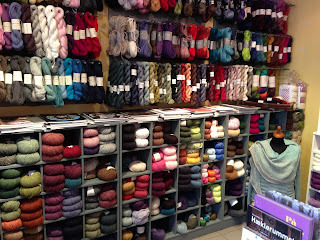 The selection of yarns was brought and lovely, albeit expensive. 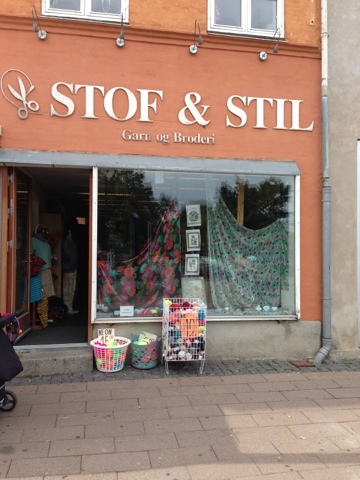 This is not a place to go for cheap yarn. Much to my surprise, the prices on given yarns were no higher than they are in the United States. As advertised, the staff is friendly and helpful. The skein toward the top is Hand Maiden Casbah, a luxurious mix of merino, cashmire and nylon. I have no idea of what I'm going to do with it, but I had to have it! The colors are so rich and deep. I'd heard about but never seen this yarn before. It's a pricey one, and I just wasn't willing to buy it over the Internet. Below that is a second ball of Crazy Zauberball. 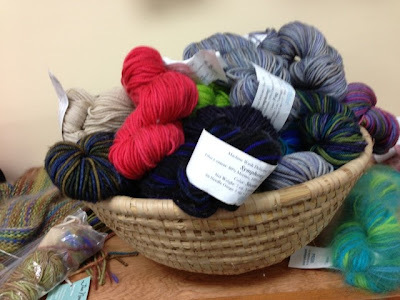 I wrote about discovering this yarn a few weeks ago here. 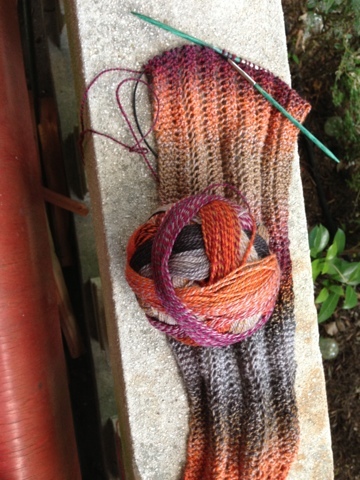 I am still knitting on that scarf and love it so much that I have to make another one in this colorway. Speaking of colors, do you see a pattern there? Now I need to go back on a yarn diet -- just as I need to stop with the chocolate-filled croissants that you find all over Europe! 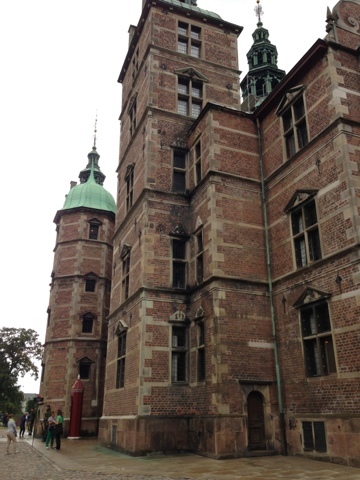 Yesterday Rachel and I took a whirlwind bus tour so we could see castles and Viking ships that are 30 to 45 miles outside of Copenhagen. I generally avoid tours because I like to go at my own pace, but there were so many places we wanted to see. 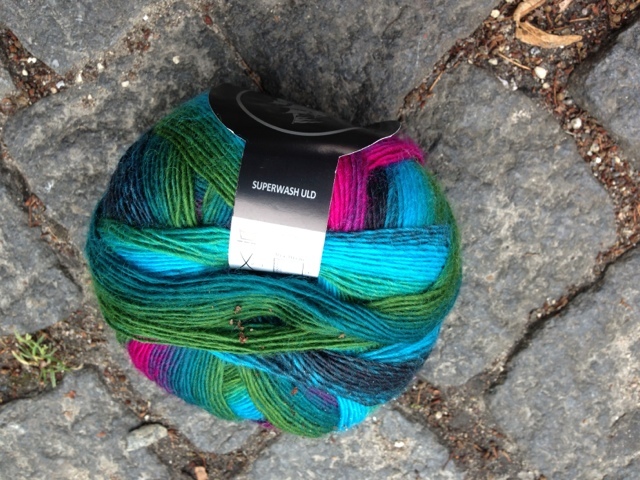 I know nothing about this yarn, but I like the colors and it is a brand I had not seen before. 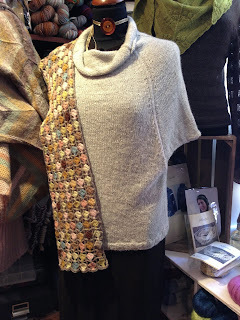 I will have to check it out on Ravelry when I get home. I am glad that I rushed in the store because the castle is magnificent. 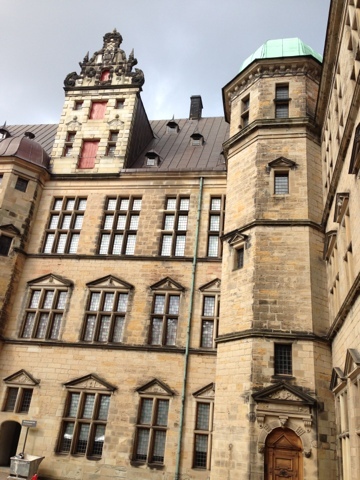 This Renaissance castle was built in the 16th century by King Christian IV, and it is the ultimate fairy-tale castle. We walked through it in wonder. 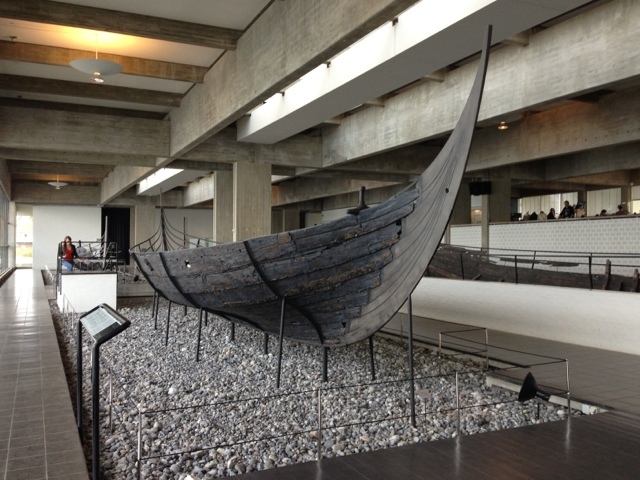 We finished the day by touring a cathedral and the Viking Ship Museum in Roskilde. It was a great day, made even greater by sharing it with my daughter! Yes, this is my summer to travel. 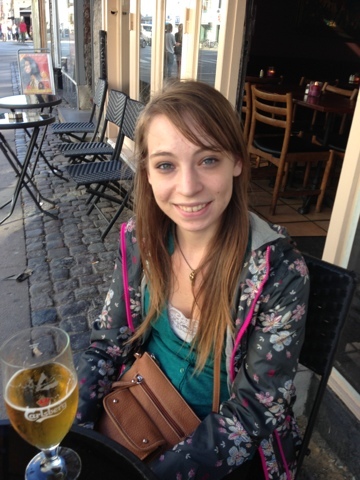 i am in Copenhagen with my daughter and we are having a great time. I feel so lucky to be able to share this experience with her. 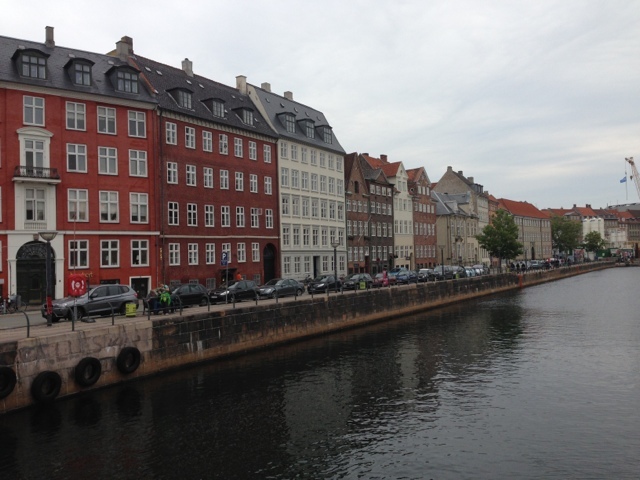 Here is a view of a typical row of buildings in Copenhagen - pretty, even in the rain! I caught the Zauberball bug in Charlottesville. 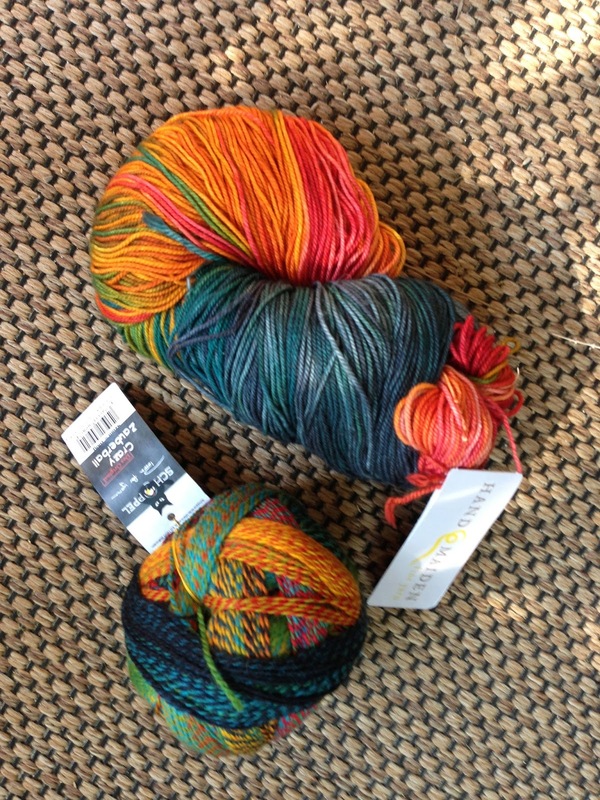 Not only did I buy a skein, but I also had to buy needles so I could cast on immediately! And it isn't as though I didn't bring enough knitting. This stuff is so gorgeous and the color changes keep you going -- even on this simple one-row pattern. Sorry format linking to the pattern. I can't figure up how to do that on my iPhone. This shop leans toward the luxurious end of the scale, so it was a great place to pet yarn. There was less yarn than usual because the owner is at Stitches Midwest. I'm not complaining; it was hard enough not to acquire a lot more yarn. I did buy one skein -- but that's another post. Charlottesville is one of the most charming places I've been. If you visit Virginia, it's a must. 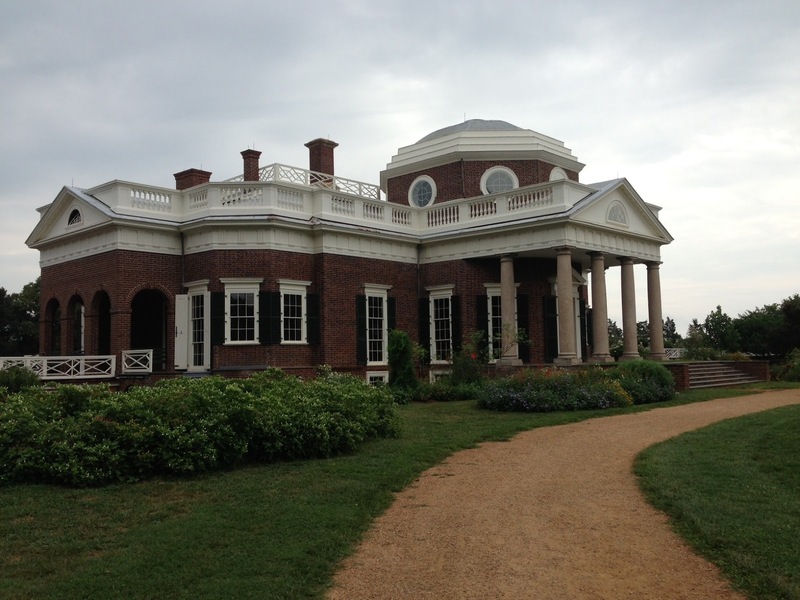 Its big tourist draw is the home of Thomas Jefferson, author of the Declaration of Independence and America's third president. He is a fascinating man of contradictions -- a slave owner who did not believe in slavery, for one. He is also credited for bringing French cooking to the United States in a new book, Thomas Jefferson's Creme Brulee, which I had to have. C'ville's downtown mall teems with great local stores and restaurants. 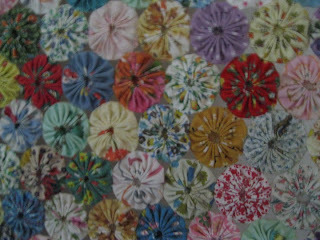 The art galleries are inspiring and there is a mixed-media art store. 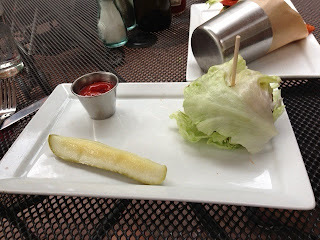 We had great veggie burgers at the Citizen Burger Bar. I had mine on a lettuce "bun." There will be more. Stay tuned! 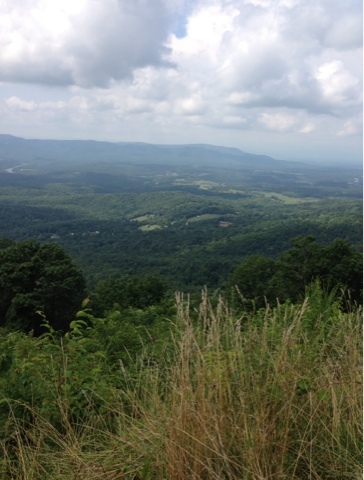 This is one of the places I have been in the last week: the Shenandoah Valley in Virginia. My friend Joni from California met me in DC and we took a little road trip to the Blue Ridge Mountains. Stay tuned for more ... And I promise there will be knitting! 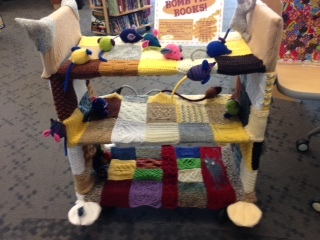 The sign explains that the book car twas yarnbombed by students, staff, and volunteers at West High School. I am so jealous that they have such a cool club. 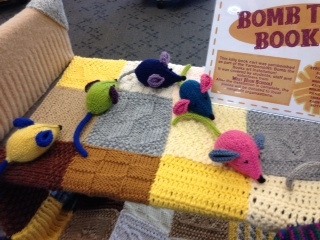 We've tried knitting clubs at our school, but middle-schoolers need a lot of help, and it's hard to find enough adults. Sadly, I don't think I'll be doing any clubs this year. In the wake of the wage cuts we teachers have suffered, our work load is going to increase this fall. It's really sad because clubs are a great way to build relationships! On the upside, I am planning a lot of fun and (I hope) educational activities for the new reading class I'll be teaching. Yes, summer is almost over. Keith and I both see the day we move into a smaller house looming on the horizon, so we've been trying to clear the house of things we don't need or love. My broken leg slowed me down, but Keith has been sifting through his belongings. 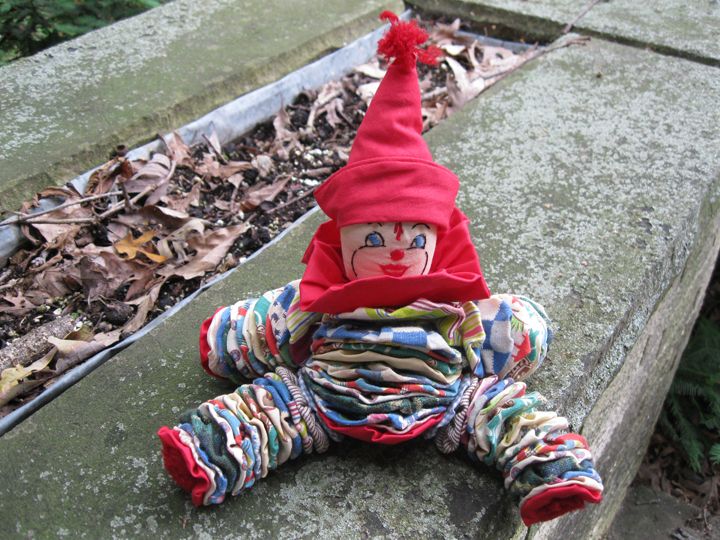 One of the things he unearthed is this clown made of cloth yo-yos. 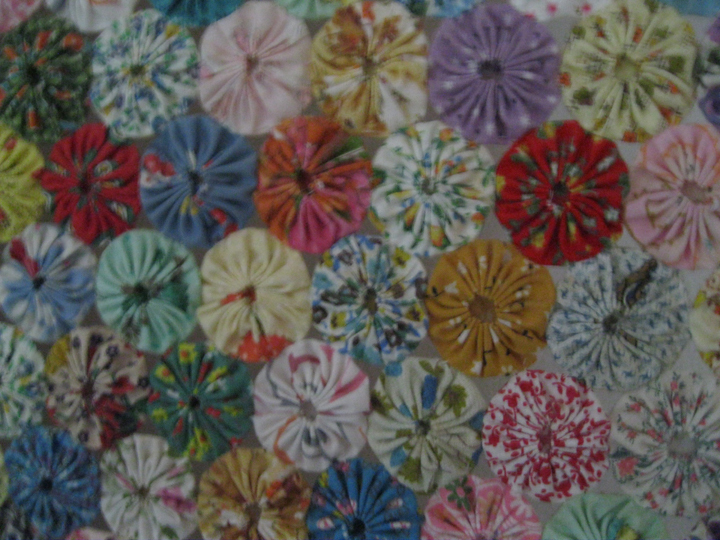 His grandmother made thousands of these yoyos from cast-off clothing. She made this clown doll for Keith. My parents are serious about pruning their belongings as they are in the process of moving to Madison, and they have passed on to use some lovely things -- but not handmade. My parents have great taste in art, and now we are benefiting from that! This contrast between our sets of parents intrigues me. My mom always said she doesn't know where I came from because she has no interest in arts or crafts. But in the long run, Keith and I are lucky to have house filled with both art and crafts.